The idea for the Glenmont Garden Restoration project came from a student in the MG Class of 2009. At the time the grounds looked somewhat neglected. Most of the gardens formerly maintained by Edison’s wife, Mina, had been long since abandoned, and deer overran the park. MG students Mary Jo Patterson and Amy Trimarco approached the park’s director of volunteers, who said the park service wanted to revive the flowerbeds but lacked the manpower. Once the site was approved as a MG volunteer site, the park service identified a garden bordering the rear of the house as being in dire need of rehabilitation. They agreed to build a deer fence around the bed and provide plant material. NPS staff provided them with an encyclopedia of heirloom ornamental plants as well as historic documents showing what plants Mrs. Edison ordered from garden companies. Horticulture flourished at Glenmont under her direction, but after her death in 1947 Edison’s company permitted the grounds to become weedy and overgrown. The property was deeded to the National Park Service in 1959. The park service wished to keep a row of mature buddleia at the rear of the bed and asked the master gardeners to add cannas, which had been traditionally planted at the site. Student master gardeners added other perennials. In succeeding years they restored two more beds, including a prominent oval at the front of the house that had been bare for years. 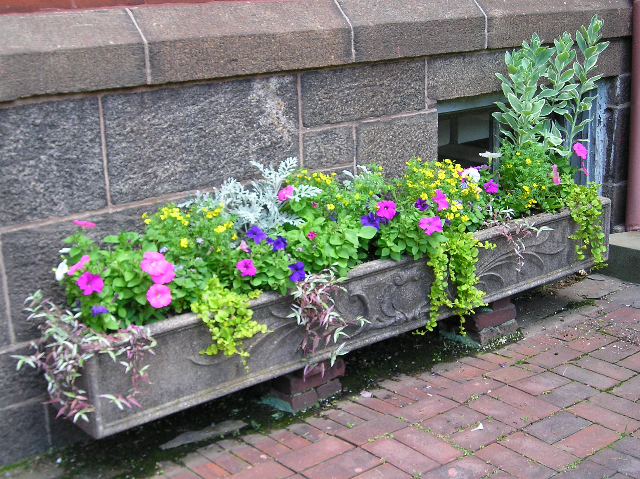 Designed by student master gardeners, it now greets visitors through three seasons with a colorful mix of annuals and perennials. The greatest challenge at Glenmont has been discouraging deer and other garden predators. 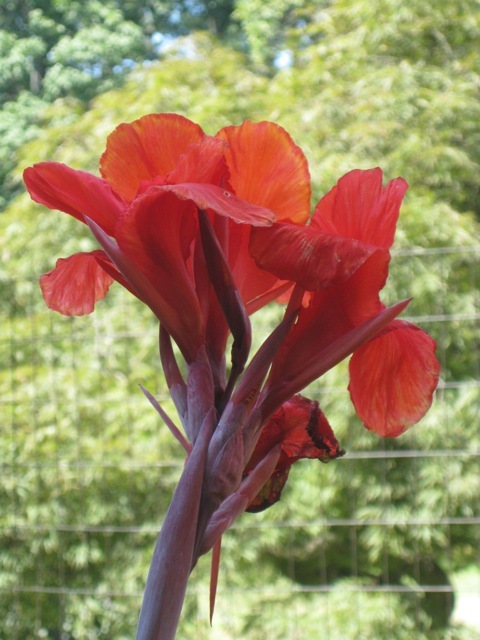 Annual costs for plants and other supplies are shared by the Master Gardeners organization, the NPS, and the Friends of the Thomas Edison National Historic Park. Additional gardens may be restored in the future. In 2010 the NPS published the Cultural Landscape Report for Glenmont, which recommends that the park service enhance Glenmont’s historic character so that it more closely resembles its appearance prior to Edison’s death in 1931. New volunteers are more than welcome. 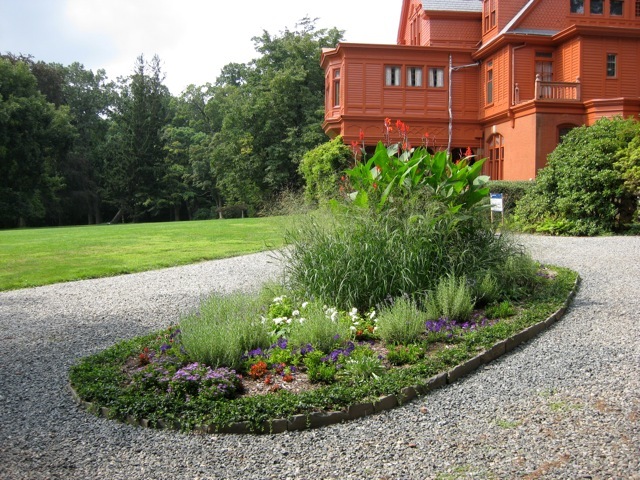 To join the crew at Glenmont, contact the Master Gardeners at 973-228-2210.